Brand new Beano launches with a BANG! - D.C. Thomson & Co. Ltd. Brand new Beano launches with a BANG! 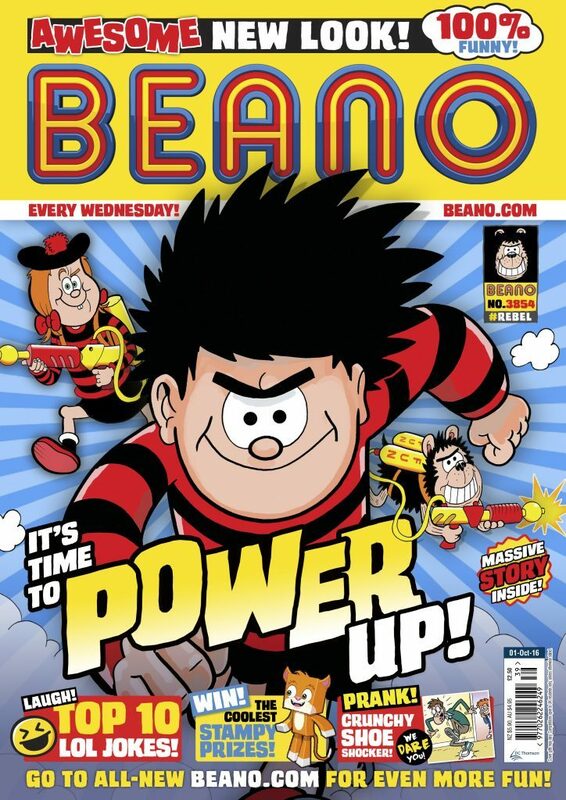 Beano is celebrating its biggest transformation since it introduced Dennis the Menace in 1951. Menaces and Minxes of the world, all hail the brand new Beano! On Sunday 25th September, the iconic British brand unleashes a boredom-busting assault on the WORLD with a Beano-inspired digital feed for kids. Not only this, Beano is unveiling an awesome new look across the comic, annual and Beano products, and promising a shed load of rib-tickling fun stuff to follow. Everything on the feed has the rebellious, irreverent Beano spirit, and comes fresh from the mischievous brainiacs at Beano Studios. It launches with lots of original videos, Beano Originals, including brand new cartoons like The Invention of Football (by dinosaurs…), brand new “how to” vids for making cool stuff, and silly jokes delivered by the “Little Squelchies”, all sitting along with great entertainment from Dennis, Gnasher, Minnie and the whole gang. And the great news for parents is that Beano.com is designed to protect kids – there’s no messaging functionality, no collection of personal information without parental say so, and no sharing of marketing data with 3rd parties. In fact, it’s so awesome, you can’t put a price on it. So we haven’t. Beano.com is all FREE! With no sneaky charges and no in-app purchases. And what about this new look you ask? It’s a mischievous mix of Beano’s proud comic roots with its big new ambitions, and it looks mega. The awesome new logo won’t just be on the Beano feed, there’ll be epic new T-shirts, hoodies and school accessories. And of course, there’ll be a refreshed version of the world’s longest running Comic and the Annual – still the UK’s bestseller.